So you’ve realized you made a mistake when filing for Social Security. Now you want to pay back the benefits and undo that mistake. But what happens if you paid tax on those Social Security benefits? Usually, I can answer most of my client’s Social Security questions. But when they start to ask for specific tax advice, I have to turn to my resources. That happened recently when “Joe” attended one of my workshops. He filed for benefits when he was 66 and attended my workshop 8 months later. For his personal situation it became apparent that his choice of filing strategy could have been better. He quickly made the decision to “undo” filing for Social Security. He filed the Form 521 and paid back all the benefits that he had already received. For that answer, I had to reach out to my friend Chris Evans. Not only is he my personal tax advisor, he is an Enrolled Agent and owner of Tax Solutions. “As with most tax questions, this one brings up more questions before I can get to an answer. Are you drawing any current benefits? Is your spouse drawing benefits? If we add the net benefits for each of you (Box 5 SSA-1099) is it negative? If it is negative what is that amount? If you or your spouse are drawing current benefits, the repayments will offset those benefits and reduce your current tax liability. If one spouse’s net benefits (Box 5 SSA-1099) is negative, and the other spouse still has current benefits then you will subtract from the spouse’s current benefits to calculate the taxable benefits for the current year. While neither of these effect the previous tax that was paid in, it at least reduces the current amount of taxable benefits. If the total of all SSA-1099 forms are negative then you can take an itemized deduction, however this deduction is handled in two different manners depending on the amount of your deduction. If the amount of the deduction is less than $3000.00, then it is considered an itemized deduction subject to the 2% adjusted gross income (AGI) limit. If you are unable to itemize your deductions, unfortunately you would not recoup any of the taxes paid. The most complex scenario is if your deduction is more than $3000.00. If this is the case you will have to calculate your tax in two different methods to determine which gives you the lowest tax liability. You would first calculate your tax with the deduction as a Schedule A itemized deduction. A big distinction here is that when your deduction is over the $3000.00 it is a line 28 deduction which is not subject to the 2% AGI limitation. With the second calculation you recalculate taxable benefits for previous years by reducing repayments and determining the new tax liability for the previous year. 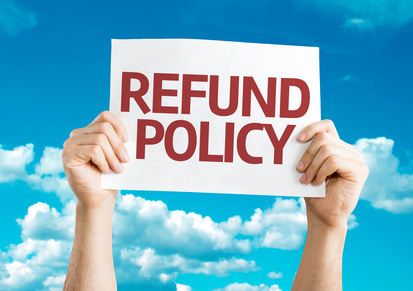 The schedule A deduction is removed from your current year return to calculate your tax liability. The difference in the previous tax year(s) liabilities are subtracted from the current year liability. My advice? Get professional tax help if you’re thinking about this. Just curious…have you ever filed the form 521 to “re-do” your filing strategy? What were your results?